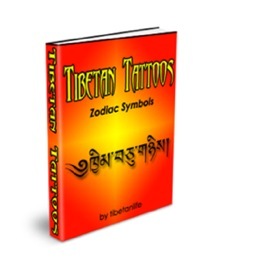 Tibetan Tattoos Zodiac Symbols - Get all 12 Tibetan sun signs. A unique and awesome idea for your next tattoo! The correct pronunciation is included so you can impress your friends with your knowledge of Tibetan!